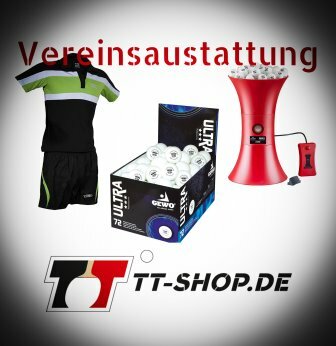 All table tennis balls of this category are approved for all official competitions. Therefore, they are marked with 3 stars. Our offers contain balls made of plastic as well as balls made of celluloid. One of the most important events for active table tennis players are -presumably- competitions. During those, one wants to have the optimum of performance brought straight to the point. To enable this, not only athletes, but also pieces of sports equipment, must be in perfect conditions. It becomes evident that also the equipment should exhibit a very high standard. 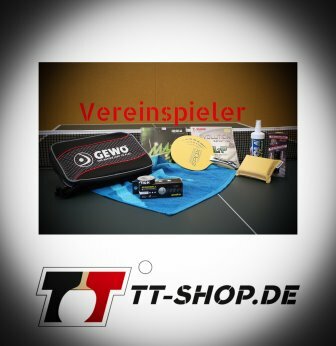 Therefore, there are special table tennis balls for competitions. .
For this reason, there are TT balls designed for their use in competitions. 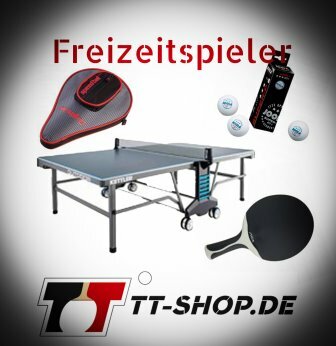 Among the category of table tennis training balls, balls for competitions are the second category. For those balls, there are very strict guidelines regarding the quality, which already start at the manufacturing process itself: There are randomized controls of roundness, weight, diameter, and also regarding flight and jump/re-bounce behavior. Balls in table tennis either consist of celluloid or plastic, and are manufactured in an automated way. In July 2014, the International Table Tennis Federation (ITTF), however, prohibited the use of celluloid balls for official competitions. Consequently, only plastic balls are approved. There may be departures from this regulation, especially in unofficial, internal competitions, where celluloid balls are still used. However, one should consider that there are some differences between celluloid and plastic balls. Especially in upper leagues, those differences are very noticeable, for example, with respect to flight and jump properties. But also in lower leagues there are reports of perceivable differences between both ball types. After all, the new plastic balls are somewhat larger than the old celluloid balls, and they sound duller compared to the latter ones. For those reasons, plastic balls should be integrated into the training process at early stages. Otherwise, later on and during competitions, there might be an unpleasant surprise when being confronted with the new plastic balls. Individual playing skills may, hence, be masked.